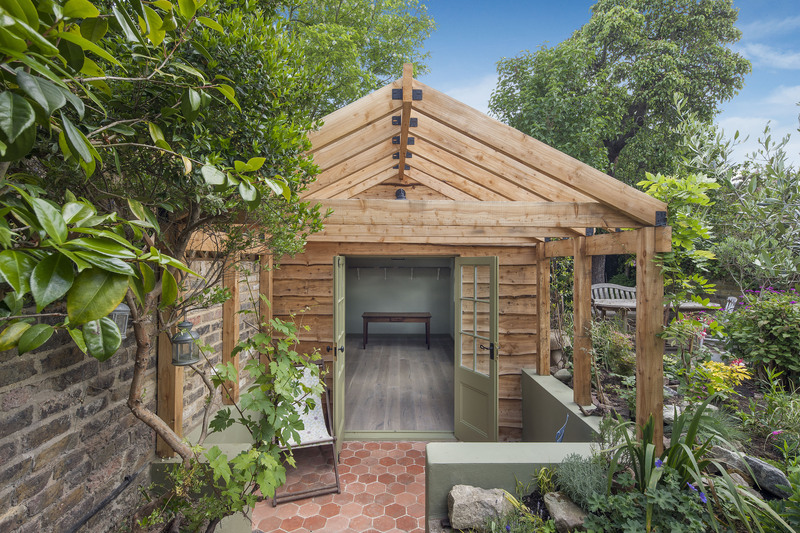 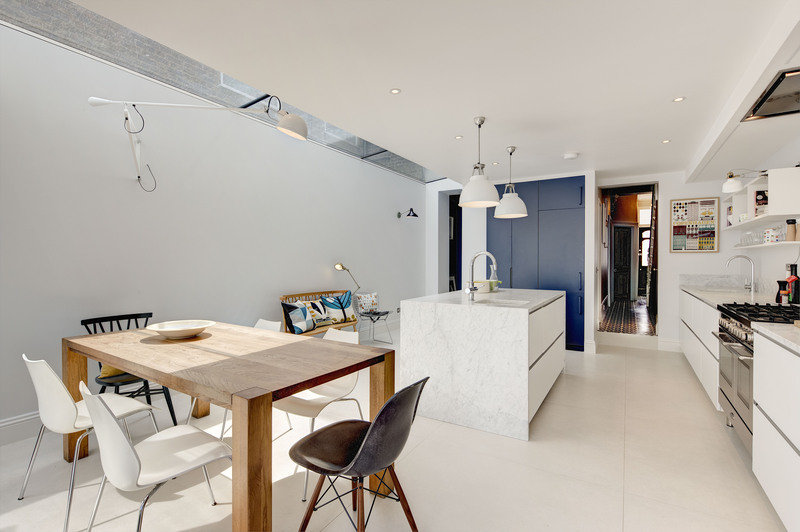 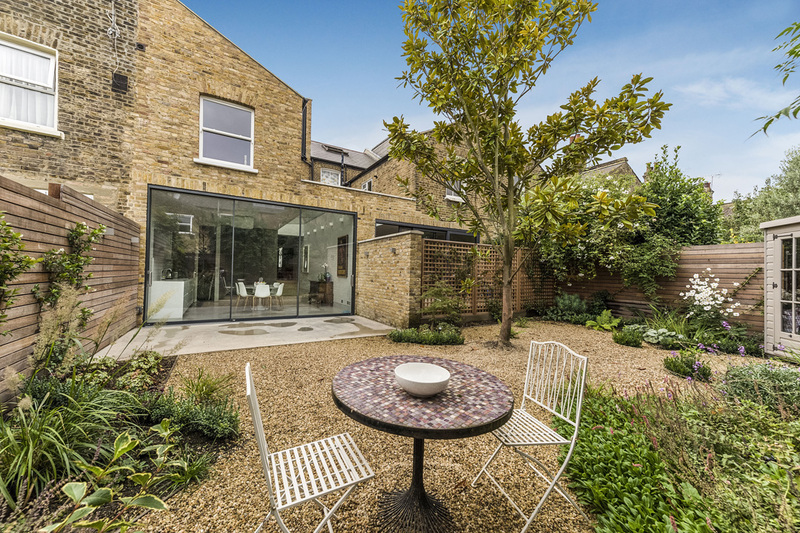 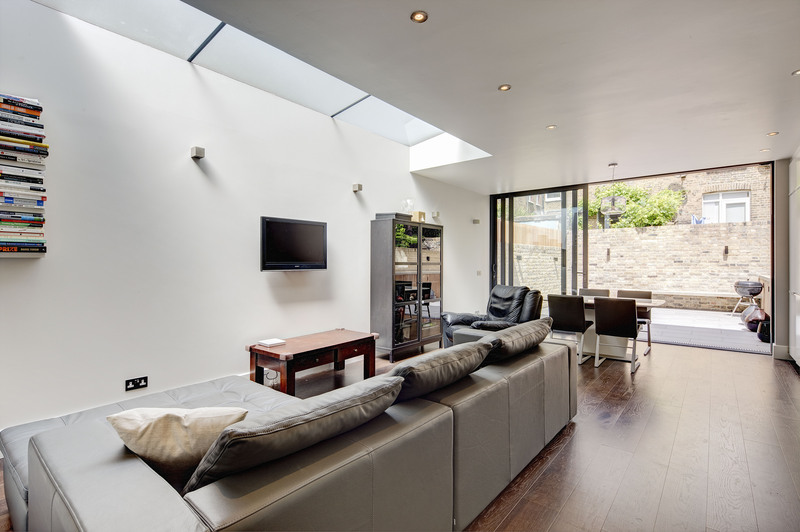 This charming Victorian house located in the leafy suburb of Kensal Rise has been transformed by building a side and back extension and the refinishing of characteristic features. 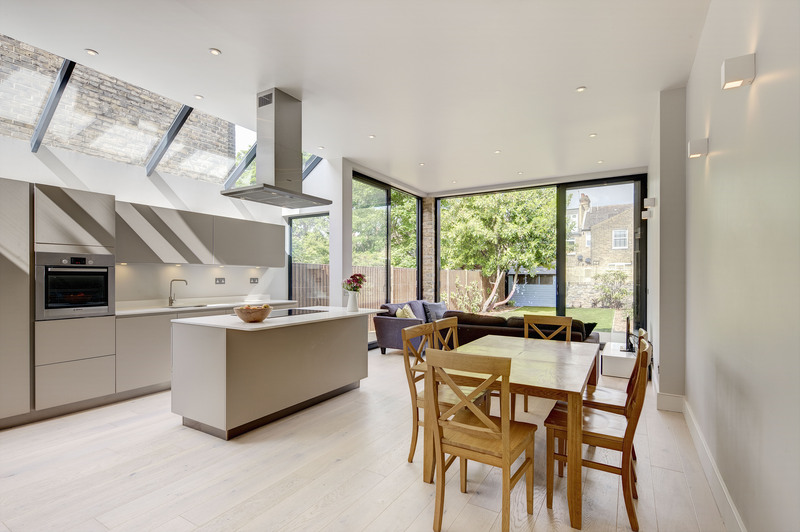 This modern kitchen was extended by building down and into the side return and completed with floor to ceiling glazing and newly built bespoke units for large appliances. 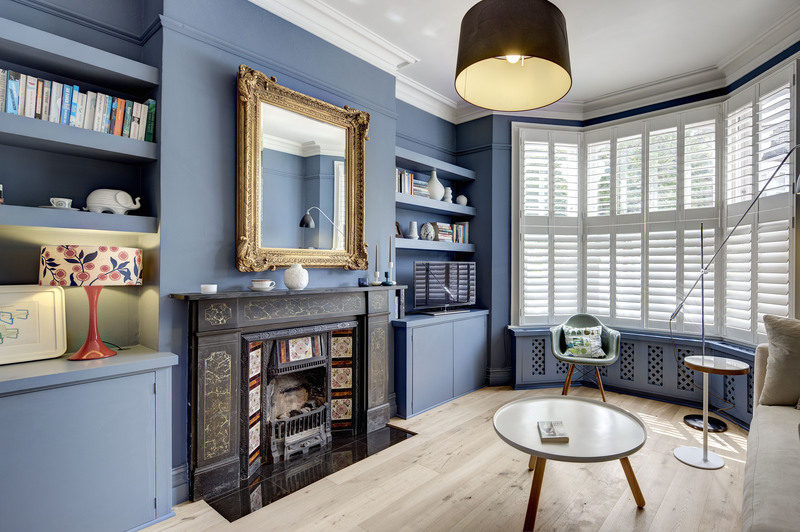 The welcoming late 19th Century qualities were obtained by re-tiling Victorian style tiles in the hallway and the installation of wood burning fireplace. 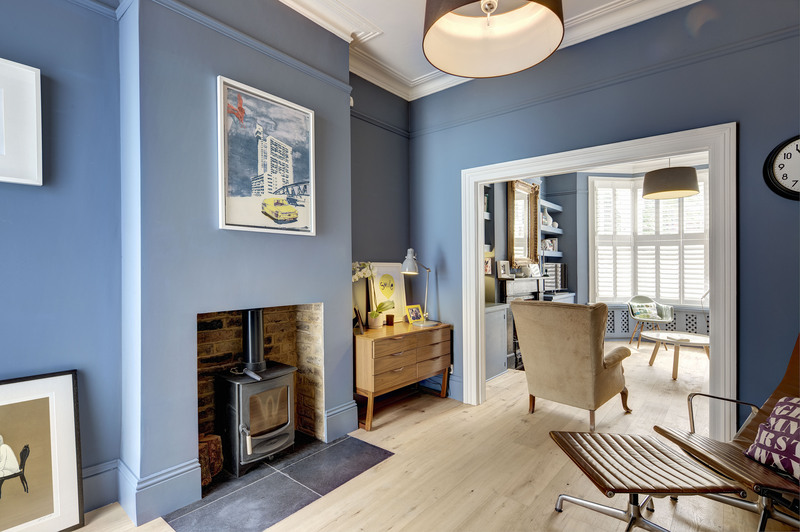 A vibrant coat of paint and new flooring in the dinning and sitting room complete the decor for the perfect blend of old and new.